The Department of Health & Human Services (DHHS) has appointed MedicalDirector (www.medicaldirector.com) as the new service provider of the Clinicians’ Health Channel from 6 September, 2015. As a result, there will be some minor changes to the site that clinicians should be aware of. MedicalDirector will source and deliver clinical content for the portal from a wide range of authoritative and respected Australian and international publishers, as well as providing access, search and usage technologies for end users. What changes will there be to the Clinicians’ Health Channel? If you currently access resources without entering a username and password, you will continue to be able to do this. However, if you have saved any links as favourites, you will need to access the link directly from the CHC website (health.vic.gov.au/clinicians). If you currently access CHC resources remotely, you will need to register for a new username and password before 6 September 2015. This should only take a few minutes and will allow you to access all of the CHC’s resources, including some newly available resources and features. CHC search functionality will have a new look and feel. Information including frequently asked questions, as well as how to access training will be available at chcknowledgehub.com.au. Why does the Clinicians Health Channel Page look different? The Clinicians Health Channel page has been updated as part of a complete refresh of the Health.vic.gov.au website. Part of this refresh includes making all pages, including the Clinicians Health Channel page mobile responsive. This means that the Clinicians Health Channel will now display correctly on mobile devices. All of the same functionality and resources will continue to be available. If you experience any issues please contact the Clinicians Health Channel help desk by emailingchcsupport@medicaldirector.com or calling 1800 107 421. Will there be a new CHC Customer Support Desk available? What kind of additional support and training resources will be provided? In addition to the customer support desk, Clinicians Health Channel users will also be able to access a comprehensive online training and information portal called CHC Knowledge Hub. Visit www.chcknowledgehub.com.au for detailed information on all the resources and services provided by DHHS Victoria in association with MedicalDirector. Do I have to log in to access resources if I am using a computer from my health service? If you are accessing Clinicians Health Channel resources from a computer linked to a valid/recognised network or IP range, then you will not have to login to access resources. Why do I have to re-register for offsite access? MedicalDirector will be providing access and authentication services via their own, proprietary platform known as the Access Control System (ACS). Registration is similar to the previous off site access platform (Athens). The ACS is used across the Australian public healthcare system. In order to utilise the ACS platform you will need to complete a short registration process to ensure all your details are up to date and validated. This will be straight-forward and should only take a few minutes. Further details can be found below or you can contact the CHC Customer Support Desk. How do I register for a CHC ACS account? Access to Clinicians Health Channel resources is only available if you are employed by a health provider who is fully-funded or partially-funded by DHHS Victoria. If you are unsure, you can view the list of hospitals and health services eligible to access the CHC resources on the CHC ACS self-registration form. I tried to register for a CHC ACS account but I was unsuccessful. What should I do? Have you completed all mandatory sections of the form (these will be auto-highlighted for you)? If you are registering with a personal email address, please ensure that you are at your workplace using a network connected computer? Have you previously registered for a CHC ACS account using the same email address? Have you selected the correct hospital or health service details? I have received an email saying that my account is due to expire. What should I do? Follow the account renewal link provided to you. If you experience difficulty following the link please copy and paste the URL into your browser. You will be required to enter your ACS username and password to begin the renewal process. Once you have been logged in your details will be auto-populated into the account renewal form. Please review this information and update your password (and other details where necessary). You can also use this as an opportunity to update your registered hospital or health service. When complete click the submit button. Please visit your registered email address and activate your account via the activation email. You will not be able to access your account until your account has been re-activated. I tried to login with my ACS details but it says my account is not activated. What should I do? Have you recently self-registered or renewed your ACS account? For self-registered accounts: You may have missed the activation email sent to you immediately after you successfully applied for an account. Please visit your registered email address and there should be an email. Please click on the link in the activation email to access your account. For renewed accounts: You may have missed the activation email sent to you. This is step two of the renewal process. Please click on the link in the activation email to create a password to access your account. Alternatively, contact the CHC Customer Support Desk. Can I register using a personal email address? Yes – but you must complete the registration form from a computer connected to a network within an eligible health service. If you are accessing from outside a valid network then for security purposes you will have to use a recognised health service email address. How many characters are required in the username and password? Both the username and password must have at least 8 characters. There is no upper limit. The password is case sensitive. Do I include spaces when registering my telephone number? No – but you will be required to enter your area code for land line numbers. I have completed the ACS renewal process, but now my account is not activated. What should I do? To complete the ACS renewal process, please revisit your registered email address and follow the activation link that has been sent to you. Please note; the activation link can only be used once and you must activate within 72 hours of receiving the email. How long does the offsite registration to CHC resources last for? If you have a permanent employee contract with your eligible health service your registration will be valid for 18 months. At this point you will need to renew your registration (see above). If you have a temporary employee contract/arrangement with your eligible health service your registration will be valid for 6 months. At this point you will need to renew your registration (see above). Will I be reminded before my registration expires? Yes – you will receive email reminders to renew your registration before it expires. I have forgotten my ACS username/password. What should I do? If you have forgotten your password you will need to reset your password. Select the ‘forgot password’ link from the login screen and follow the instructions to reset. MIMS - Will I need to re-register/how do I register for access to MIMS on iOS/Android devices or for MIMS Mobile? Please follow the instructions below or contact the CHC Customer Support Desk. iMIMS is a mobile application designed for Apple-based products such as iPhone, iPad or iPod Touch and allows you to get access to valuable drug information on the go. You are required to have a CHC ACS account to access iMIMS on your Apple device. Register for a CHC ACS account. Search and download iMIMS from the App Store. NB: The iMIMS application is 430MB. It will not be possible to download it over the 3G/4G network. Request for an iMIMS Token Number by logging in using your CHC ACS username and password. Then, click ‘Proceed’. Launch iMIMS and login using the Token Number when requested. MIMS for Android is an application designed to deliver all drug information from MIMS to your Android device. All CHC users must first register for a CHC ACS account to access MIMS for Android. Search and download MIMS for Android from the Google Play Store. Request a MIMS for Android Token Number by logging in using your CHC ACS credentials. Then, click ‘Proceed’. Open the MIMS for Android application and enter the Token Number. NB: The MIMS for Android application is 430MB. It will not be possible to download it over the 3G/4G network. Have confidence in your clinical decisions! Check guidelines and evidence, consult expert opinion, brush up on rare conditions, and confirm that you are taking the correct course of action. The new BMJ Best Practice app is available for both iOS and Android devices. Please follow the instructions below if you are new to BMJ Best Practice mobile services. Connect to institution’s network first (either via IP authentication or logging in to your ACS account). Once you have accessed BMJ Best Practice, follow the prompts to register for a ‘personal account’ or Log in if you already have an account. Logout of the profile after registration and sign in again (this allows the remote roaming to be activated before proceeding to download the app). You will now need your ‘personal account’ details to access the app, to access the app visit your Apple or Google Play store and search for ‘BMJ Best Practice’. Select the app and when prompted, use your BMJ Best Practice ‘personal account’ details to sign in and download the content. Please follow the instructions below if you are an existing user of BMJ Best Practice mobile services. Delete your old BMJ Best Practice app as it will cease to be updated. As eTG Complete has upgraded its search platform, all CHC users will see new features such as the browsable drug index, improved search functions, and new icons which allow users to see expert groups, print topics, send feedback and save favorite topics. Users can view the latest user guide and also watch the video tutorial and the snapshot for quick guided tours of all the features and functions of new platform. What new resources will be available? As well as the existing resources you will be familiar with on CHC there are also new platforms and resources available to access via the portal. You can access a full listing all resources from the CHC website http://www.health.vic.gov.au/clinicians/index.htm. 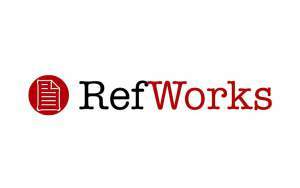 RefWorks is a web-based reference management tool designed to assist librarians and researchers to gather, organize, read and cite their research materials. It allows users to instantly create citations and bibliographies from multiple data sources in a number of different formats including word and HTML. How do I access RefWorks? RefWorks is now available free of charge to Clinicians Health Channel users. To create an account you will require your institution’s group code. This can be obtained by emailing the CHC Education Manager at email. Will I need to update my existing bookmarks/favourites? Yes – there will be changes to the URLs for all resources/platforms so you will need to re-access your preferred links direct from the CHC website and re-save as favourites/bookmarks. Remember that you will need to re-save in each browser if you use more than one or use your browser’s import/export function. Why I can't see the link to Paediatric Pharmacopoeia on Clinicians Health Channel? The Pharmacy Department of The Royal Children’s Hospital Melbourne (RCH) has decided to discontinue publishing of Paediatric Pharmacopoeia. The current edition, published in 2002, is the final edition, see the official notification published on The Royal Children’s Hospital website. The Clinicians Health Channel users will continue to get up to date Australian paediatric dosing information from the Australian Medicines Handbook Children’s Dosing Companion (AMH-CDC) through Clinicians Health Channel portal. The AMH – CDC is the most recent, evidence-based dosing guide for prescribing and administering medicines to children from birth to 18 years. This is the recommended paediatric drug reference to be used for prescribing medications for children. Is a bibliographic database still available? Yes, the bibliographic database platform for Medline and PsycINFO is now provided by Ovid. Sourced from the U.S. National Library of Medicine, Ovid’s MEDLINE is widely regarded as the definitive version of Medline for researchers and clinicians globally. Ovid Evidence-Based Medicine Reviews Limit provides quality filter to quickly identify authoritative and relevant evidence and also provides link to article and topic reviews (separate purchase necessary). Advanced mapping analyses users’ natural language queries and suggests appropriate terms for searching. Graphical thesaurus with scope notes and tree structures. Emulation of “dot-dot” and NLM search syntax. Bi-directional linking in Ovid allows you to start your search in a bibliographic database and link to the full text in Journals@Ovid, or link from Journals@Ovid to citations in bibliographic databases, or link from a Point of Care tool such as UpToDate. PsycInfo: The Ovid search software is a class leader with depth and precision of search unavailable in other platforms. Ovid is the only platform that uses the American Psychological Association’sThesaurus of Psychological Index Terms to help expand a search query to include related terms and synonyms. Is there a new search and discovery tool? Yes – MedicalDirector has partnered with ProQuest to provide all CHC users with access to their Summon 2.0 discovery platform. It is accessible from an embedded search box on the CHC website and has very similar functionality to the previous search platform, with some additional new features. For full details visit the CHC Knowledge Hub at www.chcknowledgehub.com.au or the Summon 2.0 datasheet from ProQuest. Yes – a comprehensive portal providing an A-Z listing of all available resources will be accessible to all CHC users. MedicalDirector has also partnered with ProQuest to deliver this framework to ensure you can easily gain direct access to your favourite journals, eBooks and databases. For full details visit the CHC Knowledge Hub at www.chcknowledgehub.com.au.